Salton Sea Could Be Source of Lithium Riches for the U.S. 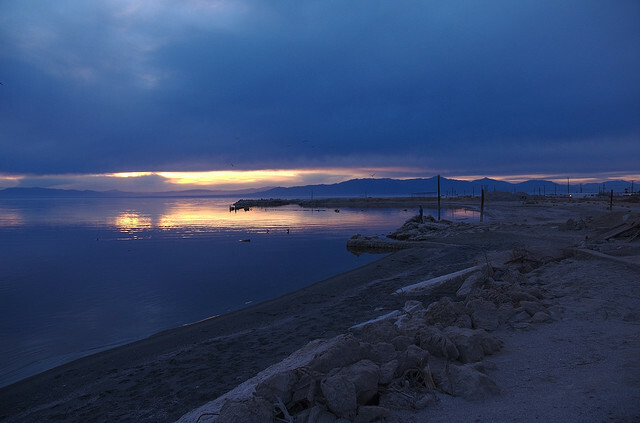 The Salton Sea is one of California’s most intriguing attractions. It’s one of the planet’s largest inland seas, the home of over 400 species of birds, the product of an irrigation project overflow, one of the planet’s lowest points and, perhaps most creepily, surrounding by a number of ghost towns. Now the ultra-salty body of water may be able to claim a new title: lithium production center of the U.S. In 18 months, Simbol Mining will attempt to make some serious cash from the Salton Sea’s lithium-filled waters (the Sea has a lithium concentration of at least 200 parts per million) with its first commercial lithium extraction plant. The company, a spinoff from Lawrence Livermore National Laboratory, plans to swipe lithium from the geothermal brine of already-existing geothermal plants in the sea, according to Greentech Media. The toxic brine–a byproduct of geothermal energy production–is usually treated as waste. But Simbol believes that the brine byproducts of just one of the five geothermal plants in the Salton Sea could produce millions of dollars worth of lithium each year. With four more 50 MW geothermal plants lined up for production in the sea, Simbol could be looking at a veritable cash cow. The Salton Sea’s lithium riches won’t just benefit Simbol. As it stands, the U.S. relies on often-unstable countries (Bolivia, Afghanistan) for lithium supplies. And as electric cars become more popular, the demand for lithium batteries also continues to grow. If Simbol can remove international lithium producers from the equation, lithium prices could drop precipitously–and that might mean cheaper hybrid and electric vehicles for consumers.